Situated in Tanah Rata, this hostel is within 3 miles (5 km) of Parit Falls, Cameron Bharat Tea Plantation and Cameron Highland Golf Club. Cameron Highland Night Market and Orang Asli Settlement are also within 3 miles (5 km). A coffee shop/café, coffee/tea in a common area and tour/ticket assistance are available at this smoke-free hostel. Free WiFi in public areas and free self parking are also provided. Other amenities include a garden. All 18 rooms offer complimentary wireless Internet access, ceiling fans and showers. The hostel offers a coffee shop/café. Wireless Internet access is complimentary. 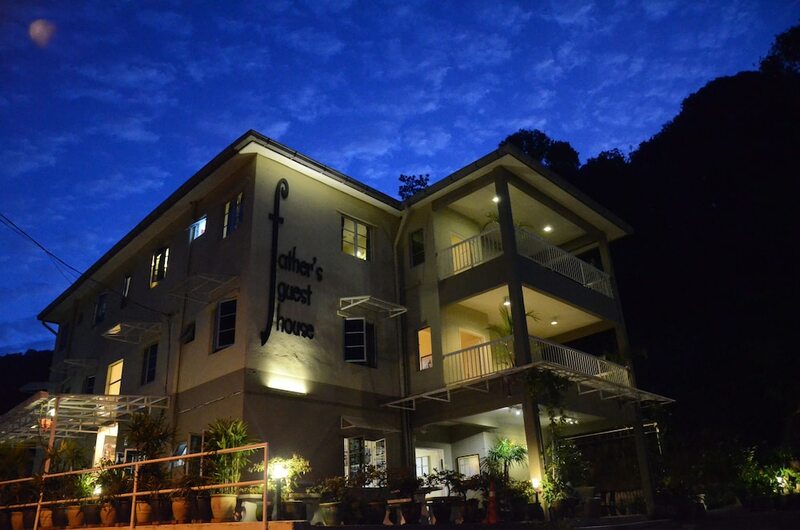 This Tanah Rata hostel also offers a terrace, tour or ticket assistance and a garden. Complimentary self-parking is available on-site. Father's Guest House is a smoke-free property. This hotel's policy is to accept bookings only from backpackers. Guests who are not backpackers will not be allowed to check in. Guests can contact the property for additional information using the number on the reservation confirmation received after booking.